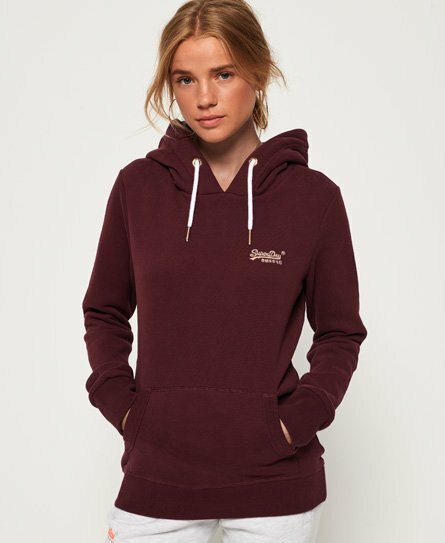 Superdry women’s Elite hoodie from the Orange Label range. This overhead hoodie features an adjustable drawstring hood with a Superdry lining, the iconic Superdry logo embroidered on the chest and a large front pocket for practicality. This hoodie has been finished with ribbed cuffs and hem for a comfortable and flattering fit.